It’s a like a rock concert of colors! Daniel Wall now resides and paints in the State of North Carolina in the United States. 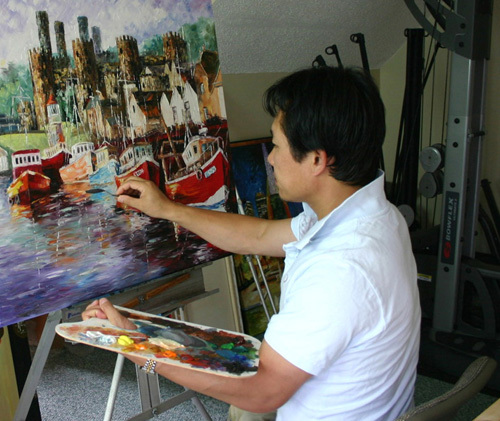 He is currently one of the most active and recognized artists in landscape, cityscape, floral and seascape oil painting in the world. His success is also marked by his highly coveted portraiture, and a wide variety of other subjects in watercolor. His paintings continue to be widely collected in the United States and around the world.